Center for Advanced Professional Studies (CAPS) is a business immersion program for high school juniors and seniors that provides authentic and invaluable hands-on experiences for students, and offer insights to guide their future studies and careers. In partnership with local businesses and community professionals, CAPS seeks to educate students on post-secondary options aligned to their passions and strengths. 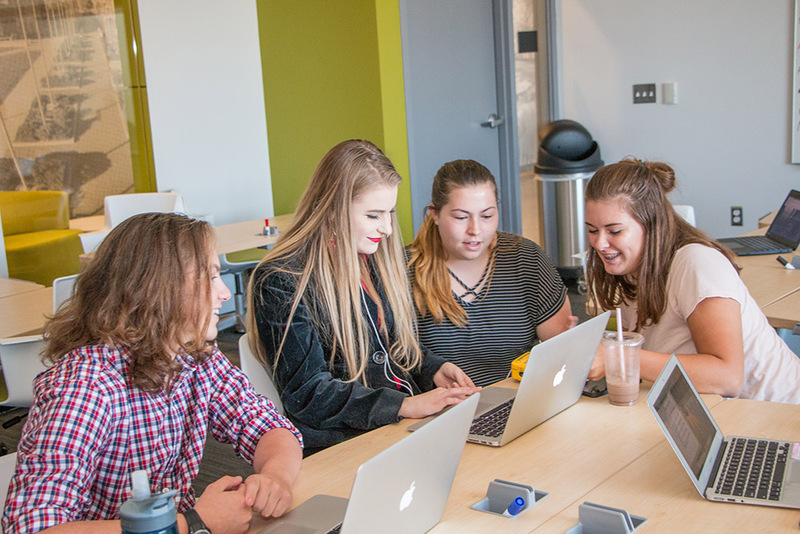 In the CAPS program, students fast forward into their future and are immersed in a professional culture, where they solve real-world problems using industry recognized tools and technology while being mentored by an industry professional in their field of interest. Beginning in the 2018-19 school year, St. Charles County CAPS will provide these experiences to all five districts in St. Charles County, including Francis Howell. Students will be able to choose from three strands: Global Business/Entrepreneurship, Healthcare Academy, and Technology Solutions (IT and Digital Media and Design). This consortium model enables us to not only offer a wider variety of programs for our students, but enhances students' professional growth by developing professional relationships with peers from other districts. • Complete the online application. Applications will open in December 2018 for the 2019-20 school year. For more information or to complete a CAPS application, speak with your counselor and visit the St. Charles County CAPS website.